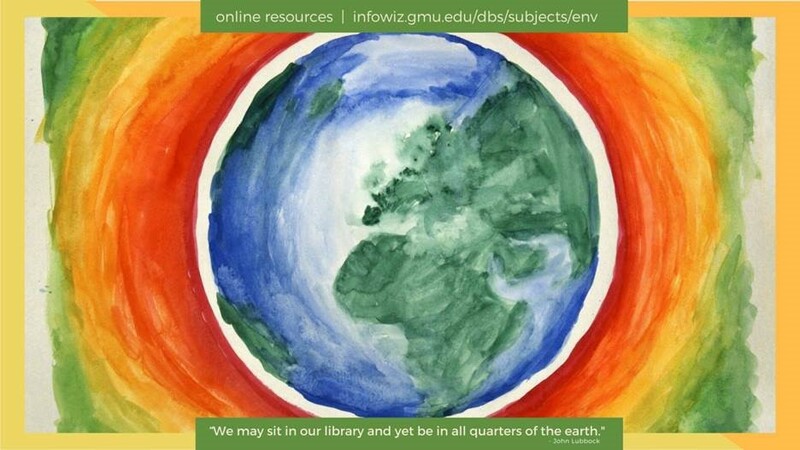 For Earth Day, check out online resources at the Mason Libraries! Interested in up to date information on environmental issues like climate change, air quality, deforestation, endangered species, or more? Start with our Sustainable Goals and Climate Change Infoguides. These will help you identify background information, relevant articles and books, and reputable news sources. Want to dig a little deeper? Check out ScienceCinema and Docuseek’s Earth Day Sampler that will both inspire you and make you think! Interested in learning more about Earth Day? Be sure to visit the Library’s ENVIROnetBASE and GreenFILE databases to learn more about the relationship between human beings and the environment, with topics including global warming, recycling, alternate fuel sources, and more. This entry was posted in FYI, Graduate Students, Mason Faculty/Staff, Mason Libraries Collections, News, Online Resources, Undergraduate Students by Jessica Clark. Bookmark the permalink.